There are reasons you must learn Reiki now; reasons that seem astounding, I have to admit. But please, understand it before you judge or reject this wonderful tool. 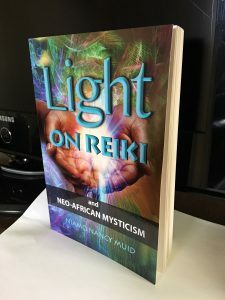 My new book, Light On Reiki and Neo-African Mysticism, spotlights why it is critical that people adopt a mode of energy self-healing like Reiki. Buy the digital version by sending $6.95 to the HealMobile account at Paypal. See details here. If you choose not to learn Reiki, learn another energy skill. Whether it is a martial art, yoga or dance, it will involve movement and connection with qi (chi), ki, prana, or ba. 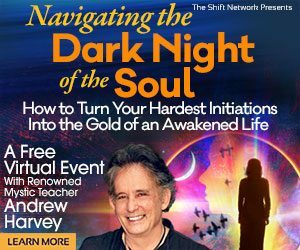 There are many ancient and New Thought “energy” or “body work” systems available today. Not many realize the U.S. was introduced to Reiki (and several martial arts) in the 1950s. Learn REIKI now for these reasons. You may wish to see facts, figures, and data confirming these perhaps over-the-top claims. I can attest to all of them. In my book, I include the scientific basis for energy healing and many books and authors attest to the validity of this approach to maintaining above-the-line health. Reiki is a blend of nurturing, laying-on-of-hands, physiology, Ayurveda and quantum physics. In its gentleness it is yin; in its effective power it is yang. It is Ancient of Days and an expression of the Sankofa* principle. Please, consider transforming your life by adding Reiki to your lifestyle. When I teach Reiki, my new book. Light On Reiki and Neo-African Mysticism is included free for students. Read more about course content here; this page has additional articles and posts about Reiki on this site. *Sankofa is borrowed from the Adinkra symbology of the Asante people of present-day Ghana. It means, You can go back and fetch it (you can return to your roots and retrieve what you left behind or forgot). The HealMobile offers educational and inspirational services and information. Many statements and health claims on this site are still under Food and Drug Administration (or other agency) review, and awaiting approval. The HealMobile wants the best care for visitors, but cannot diagnose, cure or treat any disease, mental illness, or chronic medical condition. For long-standing physical or emotional problems, see your medical doctor or licensed health professional. Share your interest in the holistic approach with him or her, and ask for help in creating a plan for the complete healing of the symptoms and causes that concern you.